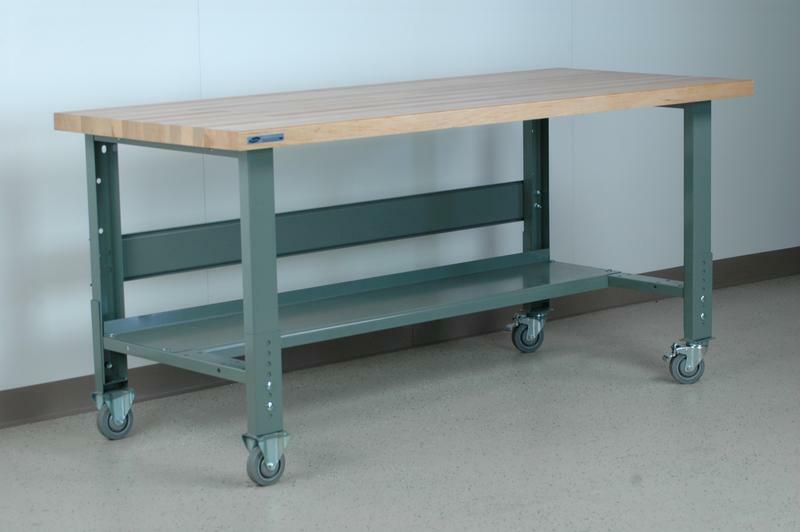 The most basic line of industrial workbench frames, the 3512 Series adjustable height mobile under-structure is handcrafted using 14-gauge steel legs with a weight capacity of 1000 pounds (evenly distributed). All base units include a 16 gauge stringer, and a 12" deep bottom shelf to tie the (2) legs together. (2) rigid, and (2) swivel dual locking casters are included on all 3512 frames.